Currently, 520 from 586 RWs in West Jakarta have owned waste bank units (BSU)s. These units are also included in waste bank electronic.
" Ideally, BSU and RW have the same amount"
West Jakarta Secretary, Eldi Andi said, his side will continue to add more BSUs because each RW is supposed to have one BSU. "Ideally, BSU and RW have the same amount. now it is only realized 89 percent," he conveyed, Tuesday (2/27). West Jakarta Environment Sub-dept. Head, Edy Mulyanto explained, inorganic waste from 520 BSUs is collected in Satu Hati Central Waste Bank (BSI) which is located in Kebersihan DKI Complex. He mentioned, Satu Hati BSI income is increased because 520 BSUs are intensified with its inorganic waste management. "Satu Hati BSI income is almost Rp 2 billion. 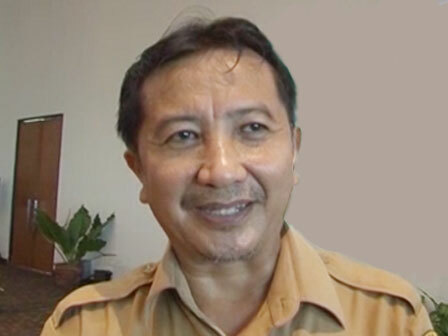 We hope residents become more aware with waste management to reduce waste disposal amount to Bantar Gebang TPA," he said.